Tri-Head DVI KVM Switches allow users to control two computers' keyboard-mouse functions with three DVI displays. For the perfect KVM experience, three is the magic number: order a Tri-Head DVI KVM Switch today! 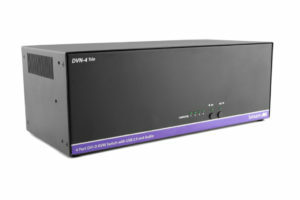 4-Port Dual-Link DVI-D KVM switch with USB 2.0 sharing, stereo audio, and support for up to three DVI monitors. 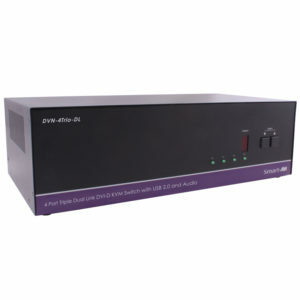 4-Port DVI-D KVM switch with USB 2.0 sharing, stereo audio, and support for up to three DVI monitors.